Datamining for the 2nd January 2015. You can check out the PTS Update relating to the datamined files here: PTS Update 2nd Jan 2015. Mount Data. Levitate and Disc mounts? Rift Icons. Some Rifts-based icons. New Icons. A few new icons of unknown origin. New PvP Warfront Icons. Expands Warfront Scoreboard with new objective-based categories. Heroic Text and Gender Buttons. There’s a collection of mount-related configuration files found with the latest patch. These are present in each race’s character configuration file. Note that the Cyclone mount is referred to as “mount_floating_stormlegion”, the Sled mount (Fae Yule/Pithos) is “mount_shieldsled” and the upcoming hover bike is referred to as “mount_bike”, so that rules these three mounts out. A new or existing type of animation for certain existing or future mounts. 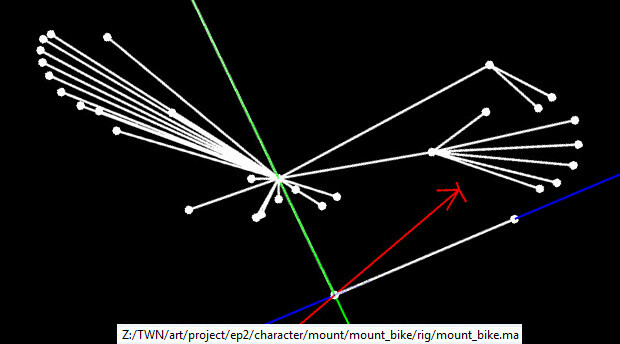 Could be related to hover bike animations as it will likely levitate, rather than as an actual mount itself. Could just be a dev-only mount that they use to fly around the test server. No models or skins found, but I’ll keep a close eye on future patches to see if something pops up. Who knows, perhaps a previously datamined skin is actually for a Levitate mount that I’ve confused for something else. Not 100% sure if I’ve mentioned this before, but just going to reiterate here that the upcoming Hover Bike Mount has a ‘swim_idle’ animation, so will likely be upgradeable with the Mount Training Manual that’s currently on the RIFT Store -> Services. Now here’s an unexpected bunch of file-names – they seem to relate to a ‘Disc’ mount. These were found under its own, separate configuration file. No swim animation though. Thinking about a ‘Disc’ mount, could it look like a UFO that floats above the ground? Seems like it would be an odd addition to RIFT, but we do have Empyreal Walker mounts. With the upcoming Tyrant’s Throne island, it seems Patch 3.1: Storm at Sea will center heavily around Crucia and the remnants of the Storm Legion. The introduction of the Hover Bike mount will probably coincide with Crucia and her ‘mechanical’ theme. As such, ‘Disc’ and ‘Levitate’ mounts might not be too farfetched. Not sure if these are actually new or if it’s just old files I’m viewing that came as part of one of the pak files. These are all Rift-based doodads. The only two that look significantly different would be the two burnt corpses amongst the icons in the second half of the list. These are all 64×64 png files. Again, not sure if these are old or new – still, someone might be interested in them! A few icons in the datamined files under patch_0.pak. The first two icons in the first row might just be bard icons. The third looks to be the old Cleric faerie. The other 3 might be other class or reactive/quest icons. The first two icons in the second row look like tokens of some sort, or perhaps portrait packs given they show a portrait and (1) (2). 3rd icon is a broken compass that could really be anything. 4th looks to be a medallion. Third row has what clearly looks to be a normal artifact icon. 2nd icon is a flower with an artifact icon beneath. Not sure what this could mean. Perhaps foraging for artifacts? The third icon shows artifact, twisted artifact and unstable artifacts with what looks to be a sack. This is not the Artifact Hunter’s Tracking Vial icon. Could be a new kind of artifact-tracking boost. Fourth row has a shield icon with what looks to be a person guiding another person – perhaps a mentoring icon or an existing tank soul ability icon that I am unaware of. Second icon is a cat. Probably a new companion pet, although we already have the Mathosian Fold which seems to have a similar pattern. Perhaps this is a kitten version. Third icon is an 18=9 on parchment. Not sure what this could be used for – perhaps for a quest item’s icon. Fourth icon looks to be a person in a ragged hood, perhaps a rogue. Again, no clue what this could be used for. Some of these icons might be old. Unfortunately patches download entire pak files even if they are only updating less than 1mb of information so pulling the files can show older files in them. What looks to be a new skin. Could be armor for one of the new bosses in Tyrant’s Forge. Probably related to Crucia and the Storm Legion since they are fond of metal and purple glowing orbs. Maybe it’s Crucia’s new armor! Is this Crucia’s ‘Cyborg Freeza’ moment? The top-left area looks like a mechanical version of Crucia’s head in her dragon form. The bottom area could be tail armor. This could potentially be a completely mechanical version of Crucia’s dragon form. This looks to be a Grass Costume piece. There’s an ‘exotic’ grass/fur skirt. I’ve personally never seen these two skins and I checked with the mermaids in Goboro Reef and they don’t have these pieces on them. The skins could be for a future wardrobe item, or perhaps some new NPCs on the Tyrant’s Throne island. There looks to be some new warfront icons coming in that gives some focus on warfront objectives. There’s also a change to outgoing and incoming heal icons so the arrows are more obvious. All the existing warfront scoreboard icons still exist except the 3rd “kills on objective” icon (the skull on a flag) which I can’t seem to see in the datamined files. Although I see icons for them, the first two might also be removed. Defend Objective. Counts damage done to enemies around objectives. I don’t think this is healing because if it were it’d include a heal icon, not a defend icon. Assumed to be for objective defend and not damage done to objective because the icon is different from the damage done/damage taken icons which have cracks in them. Kill Objective. Counts amount of objectives killed. This probably includes destroying Karthan Ridge Cores which currently doesn’t display on the Scoreboard. Probably also includes killing a player holding an objective (fang/stone/rune). Damage Objective. Counts damage done to objectives. This could also be the Kill Objective with the Kill Objective above being Total Team Kills for Objectives. Again, based on existing icons. Tally Objective. No. of objectives held or turned-in. Time Objective. Length of time of objective held. Trion is probably adding these new icons to flesh out the Warfront Scoreboard to include contributions to your warfront team that are not currently visible. Note: Haven’t had enough players on PTS to queue a warfront and actually see these changes on the PTS itself. If anyone is able to do so I’d love to know what the actual effects of the new icons are. Unsure if it is new or not, but has anyone ever seen the ‘Heroic Choice’ text flash across their screen before? It’s in the same format as “Warfront Complete”, “Rift Opened” and other such screen messages. Are we getting new alternate-path type quests? There’s also icons for Female and Male. These aren’t from the barber shop or character creation. I’m guessing these will just be added in for a future PTS update for character creations as the option to change genders is already available in the barber shop. Another possibility is that these are for some kind of Store item that allows you to have the option to instantly change your gender without having to go to the barber shop every time. (Perhaps aimed at players who like wardrobes from both genders). A couple of things found in the datamining for this week’s PTS update. Not as much as expected, but mainly because most of the file size is in re-downloading map files and large .pak files with small additions. Since these (heroic choice, gender buttons, and pvp icons) are UI and I didn’t make them, my guess is these perhaps were old assets that got pulled up when we did an integration, particularly since “Heroic Choice” is extremely old and not used.